Tip Tuesday! Heres my tip if you want to bake but don't want to do a lot of clean up or don't have a ton of time Quaker Muffin Mix is what you need! I know there is always things like pillsbury products that you just roll out and they are ready for the oven, but my kiddo always wants to do more then just roll out dough. L loves to bake and make things so this gives a little extra for her to do. 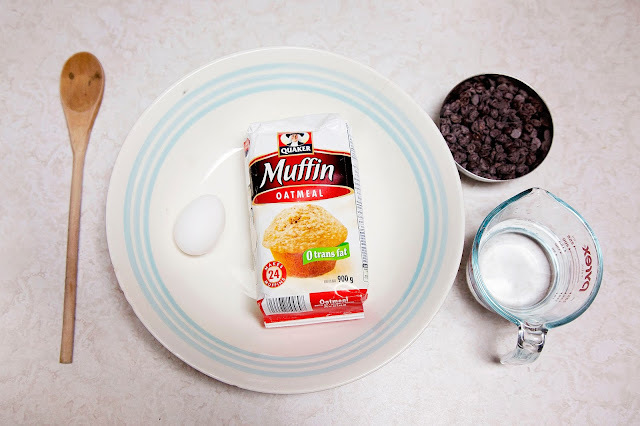 There are only 3 ingredients needed, Muffin mix, water and an egg. We always add chocolate chips but you could probably add fruit or something else to them as well. We usually make a 12 muffins which is 3 cups of mix. There is enough mix to make 24 muffins. All you have to do is pour 3 cups of mix into the bowl add in the 3/4s water and 1 egg. Mix that all together and you are ready to add them to your muffin pan. We always add about a cup of chocolate chips give or take. L loves to be the one to crack the egg which I have to say she does a great job at. L basically makes them on her own while I watch her and instruct her on what to do next. The next thing we do is take a ice cream scoop and scoop the batter into the muffin pan. The oven should be preheated to 400 already. Put the pan in the middle rack in the oven for about 15 minutes. The should have risen and look golden brown. Take a tooth pick and stick it in the muffin if you pull it out and there is muffin stuck to the pick than it needs more time if not its done. Once The muffins are taken out of the oven I let them sit for about a minute or two and then I take a fork and flip them onto there side. 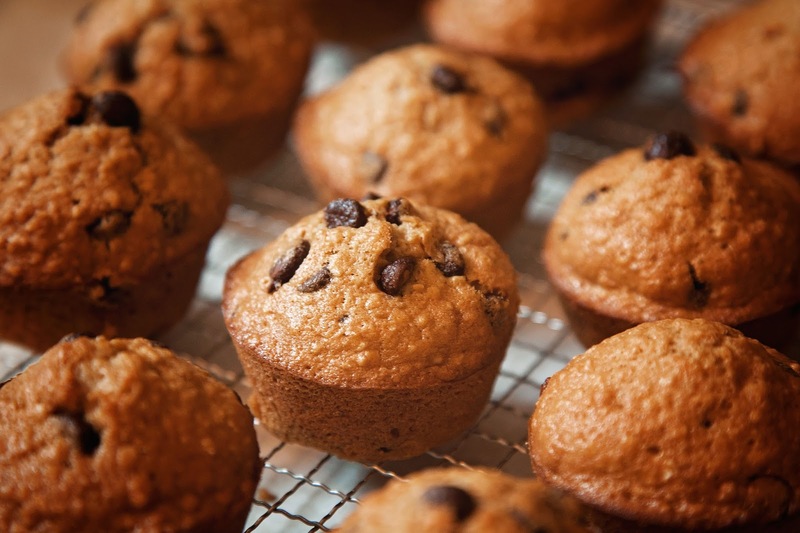 I like my muffins to have a crispy outside so I flip them and then take them out of the pan and place them on a cooling rack. This gives them a great crispy outside. Yummy Yummy! In our house 12 muffins made this way usually last a day and a half. We usually don't have any muffins after the following morning. L has so much fun with this and she is so excited that she made something for us all. This is just a fun quick and easy thing for us to do especially on a rainy day. The clean up is super quick and easy as there really aren't many ingredients and you are just using 1 big bowl and 2 measuring cups. Quaker Muffin mic for the win in this household!